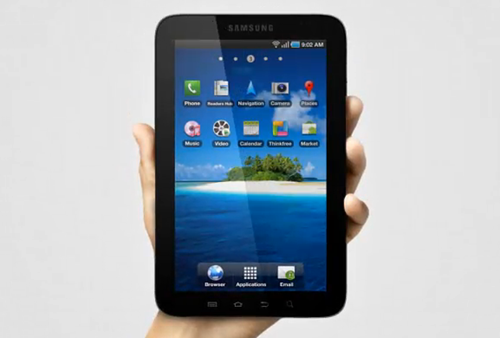 Samsung Galaxy Tab is finally here and you can start ordering right away from Flipkart. But let me tell you, it does not come cheap – At Rs. 38,000 it does dig a deep hole in your pocket. Although, it will officially be shipped on 11th November, Flipkart is taking pre-orders now for this much anticipated device. Samsung Galaxy Tab has evoked quite a bit of interest and is one of the very few tablets that promises to be on par or even better as compared to Apple iPad. Having said that, I am not too happy with the steep pricing attached to it. Indian consumers are price sensitive lot and the price tag is surely come as a dampener. It is not that consumers do not have any choices – Home grown Olivepad is priced at around 25,000 rupees, which although has less features as compared to tab, is quite a decent device. Then we also have Notion Ink Adam, which is expected to be priced quite aggressively as well. Samsung has a target of selling 500k tablets – Will they achieve it ? I own a Motorola Milestone, which I bought for Rs27k. Looking at the screen size of 7inch for the tab vs 4.3inch for the milestone, the tab looks ok to buy. Having said that, I think it is better to buy a Rs5k phone and a better spec-ed netbook for 20k, unless one really wants the smaller size at lower configuration with higher price. I am not a gizmo guy… But, I guess an Apple’s iPad is priced somewhere around Rs.25k as against Rs.38k for Samsung Galaxy tab. The 64GB 3G+WiFi iPad costs 46,000/- in the gray market as it has not been officially launched here. I too was excited and saw the Galaxy Tab yesterday…it’s good with Froyo, but it has a LCD screen and felt a wee bit plastiki…should have been more slick. It’s better than the iPad as it has front/back cameras and can be used as a oversized phone too :-)…. (iPad does voip).